Team Meat has announced that its upcoming Super Meat Boy Forever will no longer make its originally anticipated April 2019 release window, but says it “doesn’t expect too long of a delay”. Super Meat Boy Forever was initially announced all the way back in 2014, and was originally intended to be a mobile-only game. That early version was put on hold when one half of Team Meat, The Binding of Isaac and The End is Nigh creator Edmund McMillen, left the partnership – but the game resurfaced in 2017 when remaining member Tommy Refenes announced his intention to restart the project with a new team. 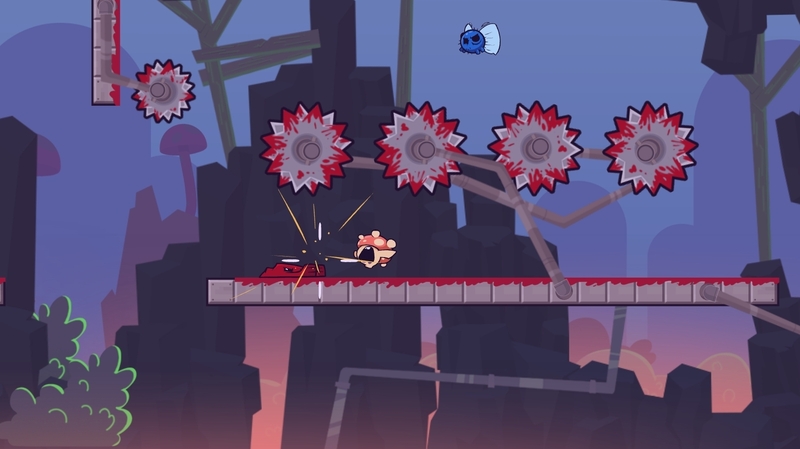 In its current state, Super Meat Boy Forever retains the auto-runner mechanics inherited from the early mobile version, and can be played using just two-buttons as players navigate its procedurally generated platform levels. The finished version was originally due to launch on PS4, Xbox one, Switch, PC, and mobile this month, but that’s no longer the case. In a new statement, Team Meat explained that it has “been knocking out the last bits of Super Meat Boy Forever at record speeds while keeping a healthy and sustainable pace”. Entirely reasonably, it says that rather than sacrificing “our minds, bodies, and social lives” it plans to maintain its current pace, “which means we will not hit our April 2019 release”. “Team Meat isn’t some studio owned by an Evil Asshat corporation that has say over what we do and how we do it”, the statement continued, “We are fortunate enough to have control over how we work and we choose not to run ourselves into the ground”. Although there’s no new launch window as yet, Team Meat says “we’re close so it shouldn’t be too long of a delay”. A proper release date will arrive alongside Super Meat Boy Forever’s next trailer, “but until then we are officially launching ‘After but not too far after April 2019′”. “This past weekend we were telling this to attendees at PAX East and everyone we told was really cool about it,” wrote Team Meat, “so we’re just going to assume they speak for everyone on the internet and say thank you all for understanding and being cool with this delay”.